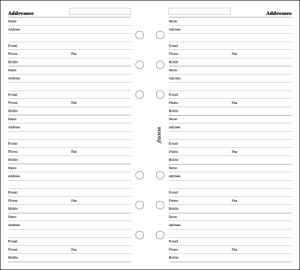 Order your Filofax Personal Name, Address, Phone and Fax Sheets White today from FahrneysPens.com. Fine Pens, Refills & Luxurious Gifts – great prices & fast shipping. Refill includes 20 sheets per pack.